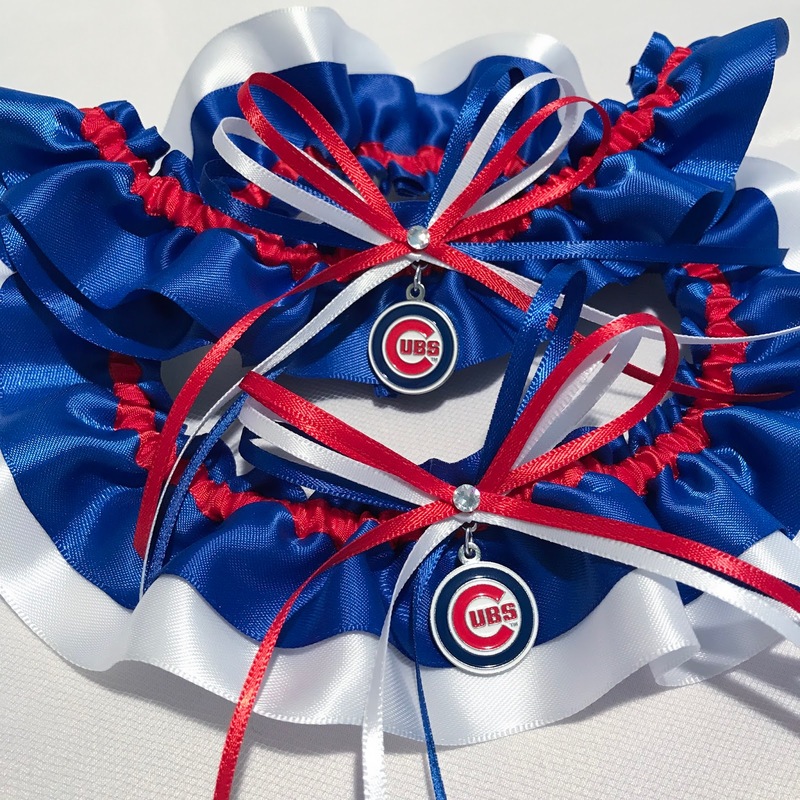 A Chicago Cubs wedding garter set for bride Kim! It's been fun to watch the popularity of this team rise since its 2016 World Series win ~ it's become one of my bestselling baseball teams! Get yours here!